This is the fifth article of the UNAI ‘Food Security and Climate Change’ series. Schools and departments which specialise in climate change and food security at UNAI member institutions were asked to submit articles highlighting research and work encompassing the newly adopted Sustainable Development Goals and to showcase the importance of sustainable agriculture to mitigate the dangerous effects of climate change, whilst ensuring present and future food security. Please note that the articles are for discussion, and do not necessarily reflect the views of the United Nations. Developing a global food system to deliver food security and access to nutritionally adequate diets for a growing population, while reducing environmental damage, is one of greatest challenges facing us today. Food security tends to focus on providing sufficient food to eliminate hunger, through expansion of agricultural land and increasing yields. Historically less attention has been given to the nutrient quality of the food being produced and nutritional needs of the population. Today’s food system needs to incorporate nutrition security to address the triple burden of malnutrition that exists across the world. It is estimated that globally 868 million people are undernourished, meaning that they have insufficient calories, while 1.4 billion people are overweight or obese (FAO 2013). In addition, 2 billion people are deficient in one or more micronutrients (described as ‘hidden hunger’). These forms of malnutrition can co-exist at country or household level and therefore nutrition security has to be at the heart of the future global food system for sustainable diets. The concept of a sustainable diet is complex and comprises multiple dimensions. The FAO defined sustainable diets as “diets with low environmental impacts which contribute to food and nutrition security and to healthy life for present and future generations. Sustainable diets are protective and respectful of biodiversity and ecosystems, culturally acceptable, accessible, economically fair and affordable; nutritionally adequate, safe and healthy; while optimizing natural and human resources” (FAO 2012). This all-encompassing definition is ambitious but it is essential to set a target to strive towards. The basic elements of a sustainable diet are captured within the Sustainable Development Goals set in 2015 and if these goals can be achieved it will make a significant step towards having sustainable dietary intakes (UN 2015). Average dietary intakes today are typically unhealthy, failing to meet basic dietary requirements for health. In high income countries diet-related disease tend to be associated with overconsumption and high intakes of saturated fats, sugars and salt, and low intakes of fiber. In low income countries micronutrient deficiencies, especially vitamin A, iodine and iron, are more prevalent. Changes in dietary intakes are being observed in countries where there is economic development, which is described as the nutrition transition (Popkin 2003). Typically the nutrition transition is characterised as dietary intakes that shift from traditional diets high in unrefined crops and low in animal products to dietary patterns that are high in refined foods, fat and sugar, and low in fruits and vegetables, typical of high income countries. These changes are linked to the rise in diet-related diseases associated with overconsumption. The environmental impact of food production and dietary habits is enormous. It is estimated that a third of global greenhouse gas (GHG) emissions are generated by the food system from primary production through processing, retail and preparation to waste disposal. The expansion of agricultural land and methods to increase food production have contributed significantly to the loss of ecosystems and biodiversity. This expansion is being driven by population growth and changing dietary habits, especially with the high demand for animal based products. In addition to these burdens it is estimated that a third of food produced globally is lost, destroyed or wasted. Transformation of the food system is needed from both the supply and demand sides to reduce waste, environmental damage and the use of limited natural resources and to improve the nutritional quality of dietary intake. Focusing on reducing greenhouse gas emissions (GHG), Bajzelj et al. (2014) recently showed that significant reductions in these emissions could not be achieved through efficiency savings in the supply side alone and concluded that demand side changes were also needed through changing dietary intakes. Diets with the highest environmental impact tend to be those with large quantities of animal products, which has led to recommendations to reduce high intakes of meat. While reducing meat consumption will undoubtedly reduce the environmental impact associated with food production, changes in intake of any food has to be considered in the context of the whole diet. It is the combination of foods that make up the diet that determines the environmental impact and nutritional quality, not a single food item. Research has shown that is possible to construct sustainable diets that meet nutrient requirements for health and reduced the environmental impact, in particular lower GHG emissions (Hallström et al. 2015). This can give rise to the assumption that healthy diets will have a lower environmental impact, but it is not necessarily the case because it is equally possible to have a healthy diet with a high environmental impact or an unhealthy diet with a low environmental impact (Macdiarmid 2013). This addresses the nutrition and environment elements of a sustainable diet but equally important and often overlooked are economic, social and cultural aspects of the diet. Dietary choices are driven by many things other than concern about health and the environment, such as availability, affordability, personal preferences, social settings and cultural norms. Furthermore, proposed changes to improve health (e.g. reduce fat, sugar, salt) and reduce environmental damage (e.g. reduce meat consumption) are viewed by many in the population as undesirable. This presents a major barrier to changing dietary habits to achieve sustainable diets. Meat, which is the focus of many discussions about sustainable diets, is a complex issue. It has both positive and negative nutritional qualities and while production of meat tends to have a higher environmental impact than other foods there are some land types that are only suited for rearing livestock. 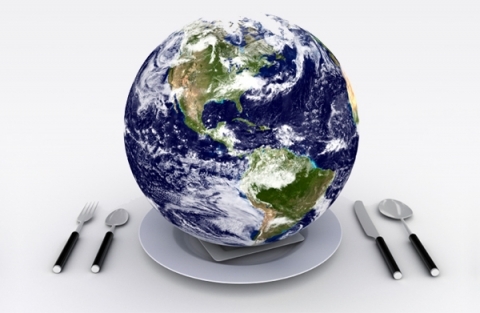 Meat consumption is central to many diets and cultures across the world. For many people eating meat is about pleasure, identity and status. Those working in health and environment have to recognise the wider nature and role of food in society, which can be symbolic and have social meanings. Many nutrition policies to improve health have failed, as evidenced through the increasing prevalence of obesity. It is important to learn lessons from the past when developing new recommendations and policies for sustainable diets, for example education alone will not change dietary intakes, and social and cultural norms within society cannot be overlooked. The recently published Brazilian dietary guidelines are a welcome exception because they have captured and integrated within their guidelines cultural aspects of the population’s dietary patterns. Shifting to sustainable diets will be a challenge and will need multiple action to improve the food production system, change dietary intakes and reduce food losses and waste. Embedding nutrition security within food security, however, is essential in future policy. Research on sustainable diets and food security has to be interdisciplinary. The University of Aberdeen leads a multinational (7 country) interdisciplinary research project “Delivering Food Security on Limited Land” (DEVIL) that will integrate nutrition security into options for delivering food more sustainably in the future. Hallström E, Carlsson-Kanyama A, Börjesson P (2015) Environmental Impact of Dietary Change: A Systematic Review. Journal of Cleaner Production 91, 1-11. Bajzelj B Richards KS, Allwood JM, Smith P, Dennis JS, Curmi E, Gilligan CA (2014). Importance of Food-Demand Management for Climate Mitigation. Nature Climate Change 4, 924-29. Macdiarmid JI (2013) Is a Healthy Diet an Environmentally Sustainable Diet? Proceeding Nutrition Society 72, 1, 13–20. Popkin BM (2003) Nutrition Transition in the Developing World. Development Policy Review 21 (5-6), 581-597. Dr. Jennie Macdiarmid is a senior research fellow at the Rowett Institute of Nutrition and Health, University of Aberdeen, UK. Her current research is focused on the impact of diets on climate change and achieving a healthy and environmentally sustainable diet.